Kelly Olynyk was frequently compared to Dirk Nowitzki coming out of college. Mostly because they’re both tall gangly white guys, but also because of some similarities in their games, especially the post moves that they employ. Olynyk tried making those comparisons more accurate tonight, aping Nowitzki’s patented one-footed fadeaway. It was unsuccessful, but as he told Dirk, he had to try. Of course, being the hilarious old man that he is, Dirk came right back and showed the youngin’ how it’s done with a not-quite-one-footed turnaround jumper. 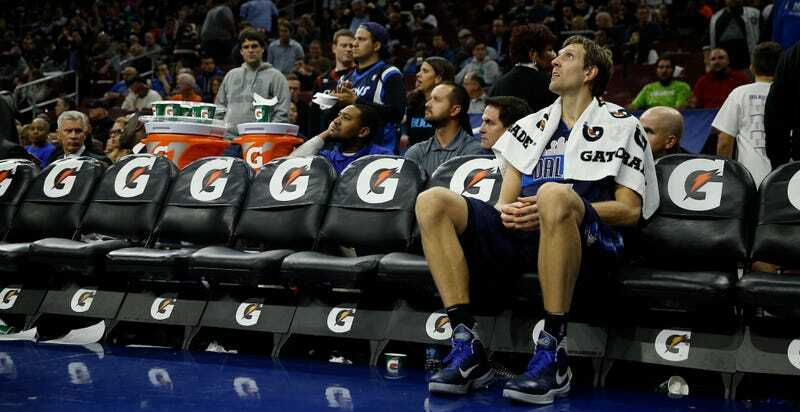 Afterwards, Nowitzki was his typical good-natured self.